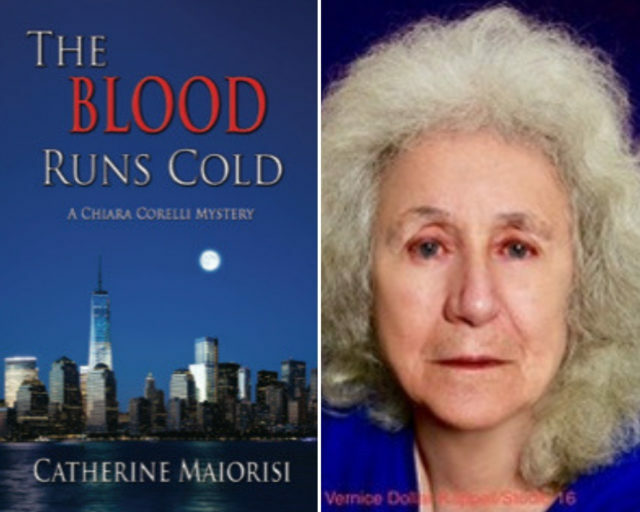 The last time Catherine Maiorisi appeared at The First Two Pages, she was writing about A Matter of Blood, her first full-length novel and the first book in her new series featuring NYPD Detective Chiara Corelli. Last week, Lambda Literary named that book a finalist for the Lammy Award for Best Lesbian Mystery. And in today’s post, Catherine offers a preview of the second book in the series, The Blood Runs Cold. Needless to say, the past year has been a fine one for Catherine, and I’m thrilled to help celebrate her success and to host her here today! Catherine has also published short fiction fairly widely; when B.K. Stevens hosted several contributors to the anthology Where Crime Never Sleeps: Murder New York Style, she wrote about her story “Love, Secrets, and Lies” here. And crossing genres, Catherine write romance too. Check out her website for more information on all her work. I’ll enjoy this one as much. Very interesting. I analyzing the work in this way. Thank you for sharing.